Mark Harper started his musical journey at age twelve as a guitar player. 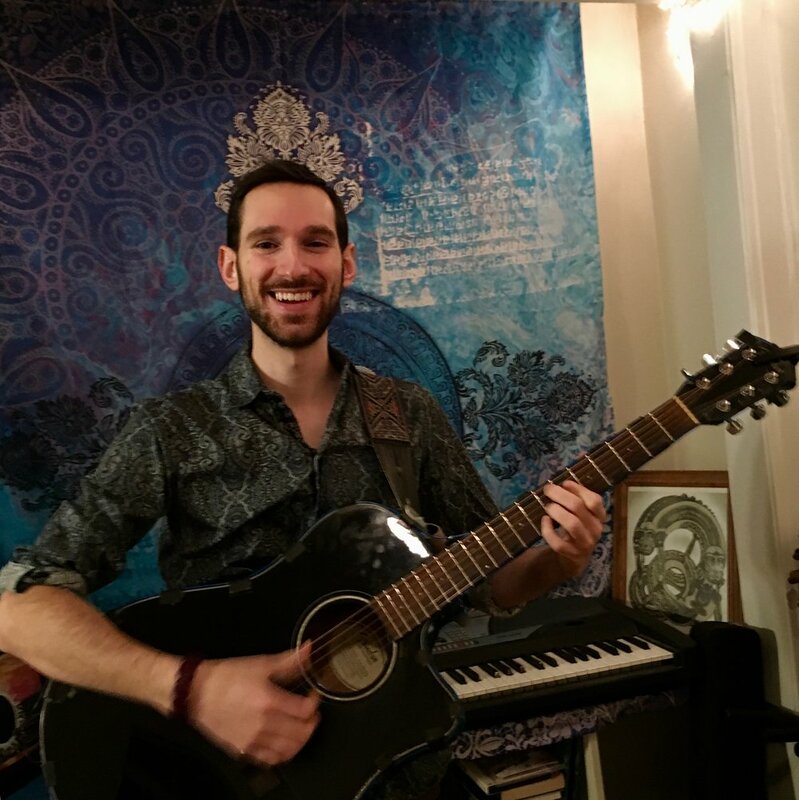 In the last decade, he has gotten experience in a variety of musical endeavors including playing guitar in a Jazz ensemble, singing in various choirs, playing principal roles in musical theatre productions, and even participating in an a capella group. Currently, he produces music in many different genres, is the lead singer and guitar player of his band, Harper's Grove, and for the first time ever is performing solo here at Uncommon Ground. saraí is a multi-faceted artist and human being. she grew up in multiple areas in and around the city of Chicago. the artist currently attends the university of illinois at Chicago. she studies English and Gender and Women's studies. she considers herself a singer, writer, editor, activist, and thinker. currently, the singer works to complete her bachelor's degree, her first three books, and her demo. Though originally born in Oak Park, Rane Simons mostly grew up in a small town in Southern Illinois called Makanda. He joined his first band with some friends from high school who convinced him to start learning guitar. Half of them ended up going to college in Champaign-Urbana where he joined a couple other bands and began developing a passion for singing and songwriting. On a train back to Chicago after seeing a total solar eclipse in my hometown of Makanda in August 2017, he met his girlfriend who has been a big source of inspiration for gim to write, record, and produce his first EP. He’s happy to say that he released Synchronicities exactly a year later!